We are honored to reissue the 3rd full length from Carolyn Fok / CYRNAI, an Asian-American female solo artist from the Bay Area. Carolyn’s adventures in sound began with recording stories on a tape recorder at age 9 in 1976. A short time later, exploring the scattering of musical instruments and effects units her father left lying around the family home. She became especially fascinated by his TEAC reel-to-reel recorder that set off a lifelong fascination with sound design. By the age of 16 Carolyn had become inspired by industrial electronic act Cabaret Voltaire, as well as anarcho-punks Crass. Creating the stage name CYRNAI, a rearranging alphabet of Carolyn Fok, she played in several Bay Area bands including Treason, A State Of Mind, Trial and Rhythm & Noise between 1983 and 1991. In 1987, towards the end of art school, Carolyn won another award from the New York Society of Illustrators. During the trip to New York to accept the award, she met electronic/dulcimer musician, Dan Joseph. 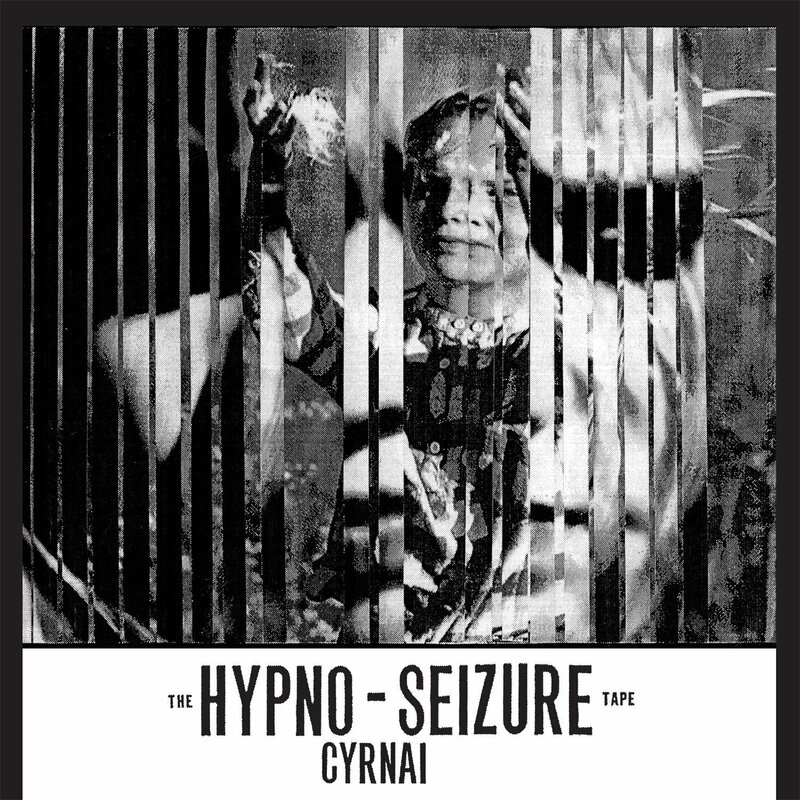 After writing some letters they decided to make a split cassette titled ‘Hypno-Seizure’. 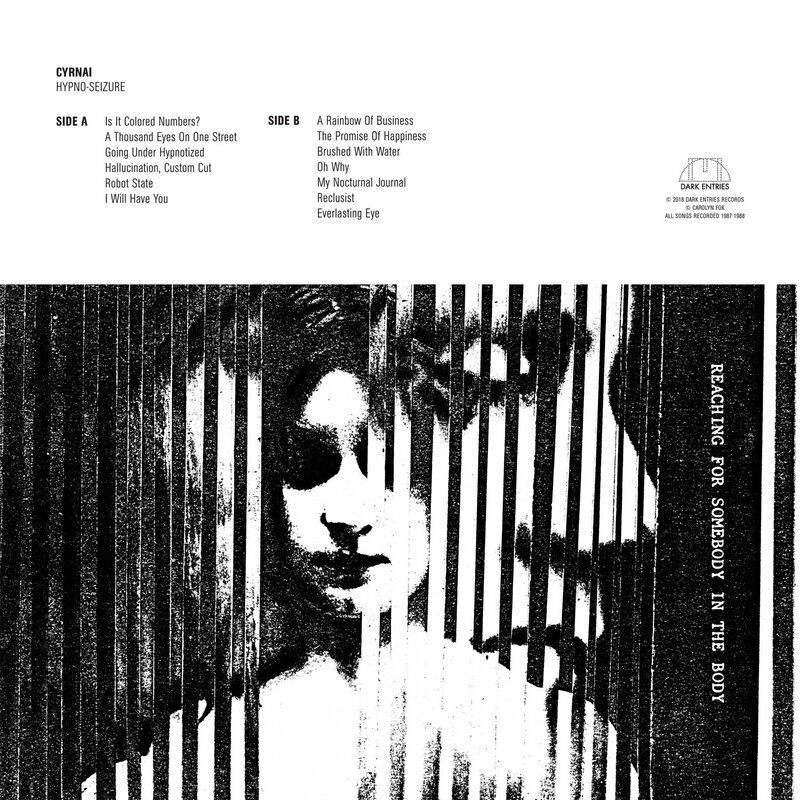 CYRNAI contributed 30 minutes of music to Side A of the cassette, 10 untitled pieces that ran into each other. She had just bought a round-the-world ticket going from China to Europe via Eurails, to Egypt, where she liked to wander. She picked up instruments from several countries and recorded the sounds of her new surroundings. Technology was changing into early sampling and she used a Commodore 64 with large floppy disks to record loops. 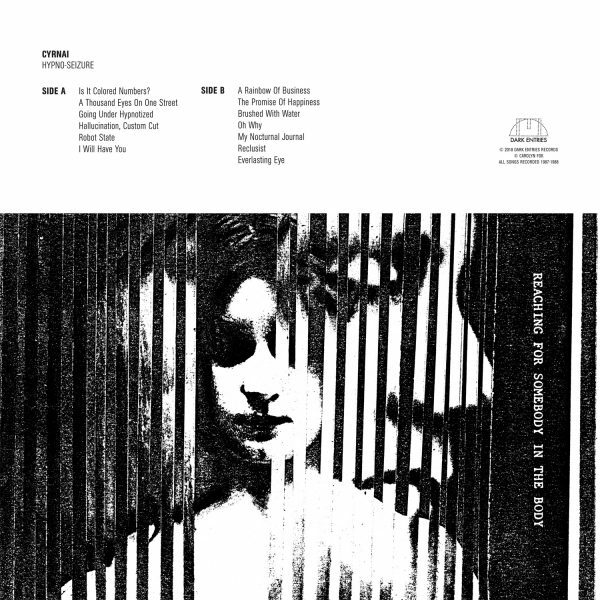 Originally self-released in 1988, this reissue adds 3 unreleased bonus tracks recorded during the same period. Each copy includes a double sided insert with lyrics, photos and notes by Carolyn. All songs have been remastered by George Horn at Fantasy Studios.